Winters are here ,and so alu parathas are in season!!! 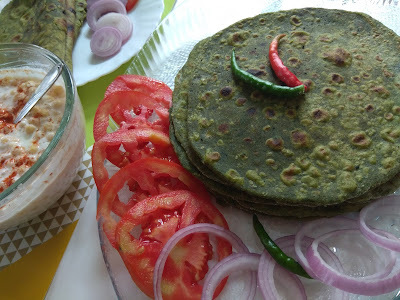 Today I have something to share ,which I am sure is an issue with many of you.i am sure there is a good number of people who love alu parathas ,but when we make them ,very often the filling tends to spill out. I am back again with a very nutritious recipe with the very versatile spinach or palak.I always look for new ways of serving nutritious food to my fussy eaters at home.Fortunately my family is very fond of parathas,they can be served at breakfast or dinner ,and are always welcome.This recipe actually forms a wholesome meal as we all know that the spinach is rich in vitamins and iron..i prefer serving any paratha with some chutney and avoid pickle to some extent,At my home parathas go very well with some boondi raitha.Soi as long as winters are here ,palak parathas and methi parathas will continue to be served at my place. The dough of this paratha can be made the earlier evening and kept ready in the refrigerator .It can be rolled and roasted in the morning for lunch boxes. This halwa or a sweet dessert pudding is my favorite among Indian Halwas.I love it because of its beautiful green color and lovely texture.This can be a very good dessert idea when you have guests or you can even carry it for one of your potlucks as this is a dry dessert.This dessert is again a great option for lactose intolerant people as this recipe calls for minimum use of diary products. 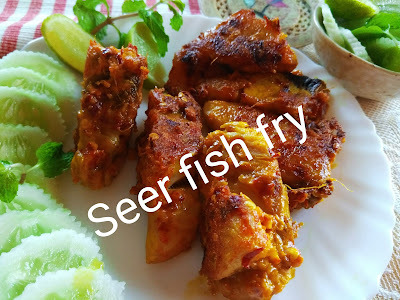 As you shall notice that this recipe uses only little milk powder at the end ,the quantity of the milk powder can be varied as per your preference. 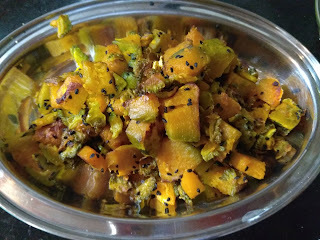 I have a special liking for this recipe because it can be eaten cold or warm.so this recipe is a great option in the winters ,when you can no longer serve ice creams or souffles to your guests .i am sure you shall try out this easy version of the Lauki ka halwa,or the bottle gourd based sweet pudding when your guests are due next. frankly speaking I love to arrange a welcoming spread on my dining table ,and the more varied the colors of the items ,the better it is.This recipe adds that appealing touch to your menu ,that your guests will remember for long. Winters are not complete without the many spinach or palak recipes that are prepared in this season. 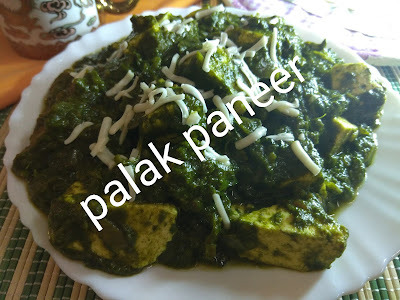 My favourite is the palak paneer. 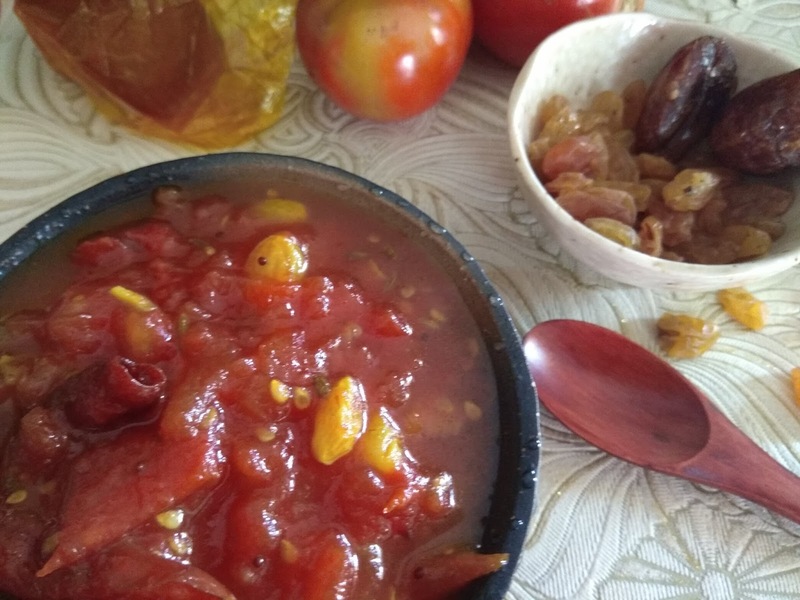 I am sharing with you today one of my favourite dishes,that is the Bengali style tomato chutney. It is a sauce or a relish usually had with the Bengali Khichuri ,Or at the end of a meal.Its sweet and slightly tangy taste makes it an all time favourite for kids.This chutney can actually be stored in the refrigerator for about a week .It is a good accompaniment for parathas too .So surely try this very flavourful recipe and let me know how it turned out . This recipe requires some particular ingredients to give the distinctive taste.One of them is the AAm Papad.Now,aam papad is an Indian fruit leather which is made by mixing mango pulp with concentrated sugar solution and sun dried.This is called amsotto in Bengali.Though tomatoes are available year round these days,but this chutney is best made in the winters with well ripe tomatoes.The more pulpy ones make a better chutney.